Villa Nonno is located in the rolling Tuscan hills with views over vineyards and olive trees. 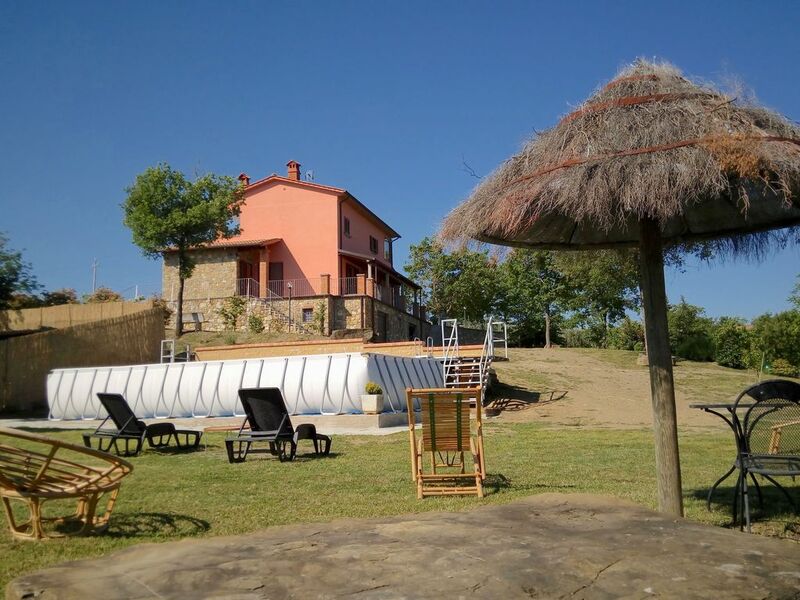 The villa is very panoramic located near Pieve San Giovanni and only 12 km from Arezzo. In the village of Pieve San Giovanni there is a bar, a supermarket, a restaurant and a tennis court. The decor is light and simple and the living room and kitchen are spacious. There is a spacious, fully enclosed garden, a barbecue, a wood oven and garden furniture. The swimming pool is ideal for a refreshing dive on a hot summer day. The villa is equipped with photovoltaic solar panels. It is a fantastic place to spend a relaxing and fun holiday in the Tuscan countryside.